FEW PROGRAMS INSPIRE ME MORE THAN those committed to empowering the voices of future filmmakers, and especially those that empower the voices of female filmmakers. That is the goal of the CHA (Chicago Housing Authority) Program in Documentary Filmmaking. Held during the summer at DePaul University’s School of Cinematic Arts, this five-week program kicked off last year and is designed for female high school students living in CHA housing on the South and West sides of Chicago. What I love about the program is how it prepares these young women to become future documentarians by instructing them on everything from aesthetics to technical skills. Professional filmmakers are among the students' mentors as they shoot their movies and edit them at DePaul Studio space. They also pay a visit to Cinespace Studios, where such programs as "Empire," "Chicago PD" and "Chicago Fire" are produced. These lessons enable the students to express their views on social issues that personally concern them, while advocating for the challenges that face people their age. By the end of the program, four documentaries are produced. The films produced by last year's class are available here, two of which were recently selected for local film festivals, including the Global Girls Film Fest. The wonderful documentary, "Rise Up," premiered at this month's Windy City International Film Fest and won the Rising Voices award. It is comprised of four vignettes about young women who refuse to be defined by just one aspect of their lives. "I'm more than just a news story, I am my sister's protector," says one of the interview subjects, her eyes filled with conviction. "For CHA, there are over 28,000 youth between the ages of 13 and 21 who live in housing subsidized by CHA throughout the city of Chicago," said Kristin Hamer, Director of Corporate & External Partnerships at CHA Resident Services. "Each summer, we strive to provide as many meaningful job, skill building and enrichment opportunities as possible that support their personal growth and development, and ultimately, their pathway to future economic stability. 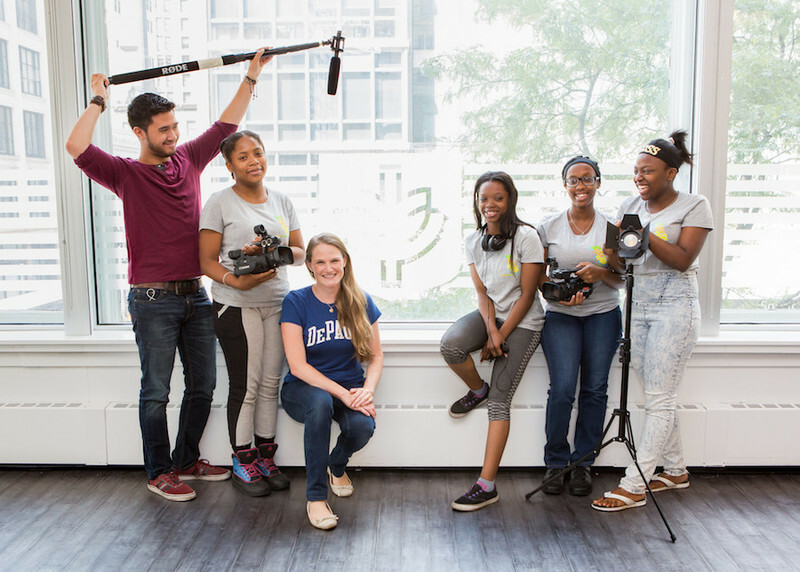 The Documentary Film Program at DePaul is a perfect example of an opportunity to expose a group of young women to the power of story-telling, while gaining valuable hands-on technical skills. CHA’s partnership with DePaul and other universities allow our youth to spend their summer on a college campus working with talented faculty, and to explore and access tools and resources that they may not have in their high schools. And hopefully their time on campus bolsters their confidence and excitement to one day go to college themselves." 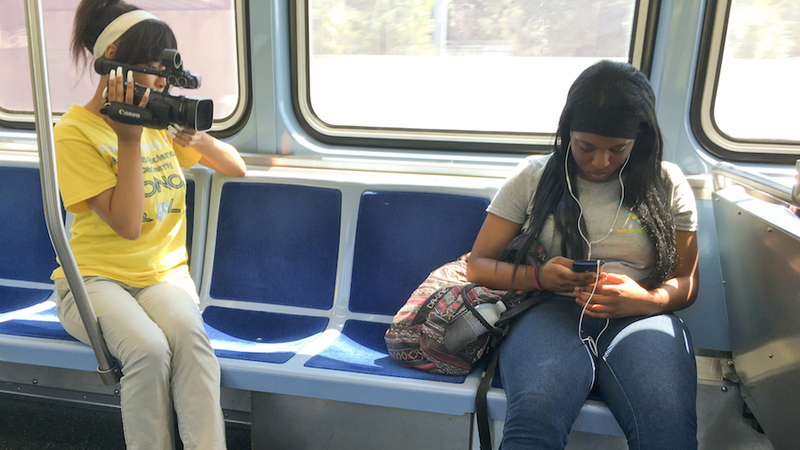 "The underlying motivation for the CHA Documentary Filmmaking program is our belief that young women can be cycle breakers in their community," added Liliane Calfee, Program Director, at DePaul University. "As we all know, film can be a powerful vehicle for social change. During their five-week documentary intensive, mentored by film students and award-winning filmmakers, the girls dive deep into social topics affecting their communities. Last year, they chose teen pregnancy, bullying, gun violence, and single versus dual parent homes. Not only will they will learn professional filmmaking skills, perhaps more importantly, they will realize the power of their voice." I was so excited about the program that I went to speak to the future filmmakers. I wanted them to know that I too became interested in film while I was living in CHA housing. It is important to me that they look to the future to see how what they bring to the program can help change the direction of their lives. Ms. Calfee told me that they are constantly reinforcing that idea in the program. "They are our future and change can only occur if they take an active role in bringing awareness to the challenges they face. Through their films, they are able to foster positive dialogue. One of the most beautiful aspects in all of this is that as we put the focus on young women, we introduce a new voice - a largely unheard perspective, that inherently helps to humanize what has become very polarized narratives in the media." I say Amen to that. This year's program began on June 26th and will culminate with a closing ceremony and screening of the films on Friday, July 28th. Community screenings of the students' films are also being organized in order to facilitate a dialogue about the vital issues they raise. I understand how important it is for these young women to have a mode of self-expression, and I greatly look forward to their output.